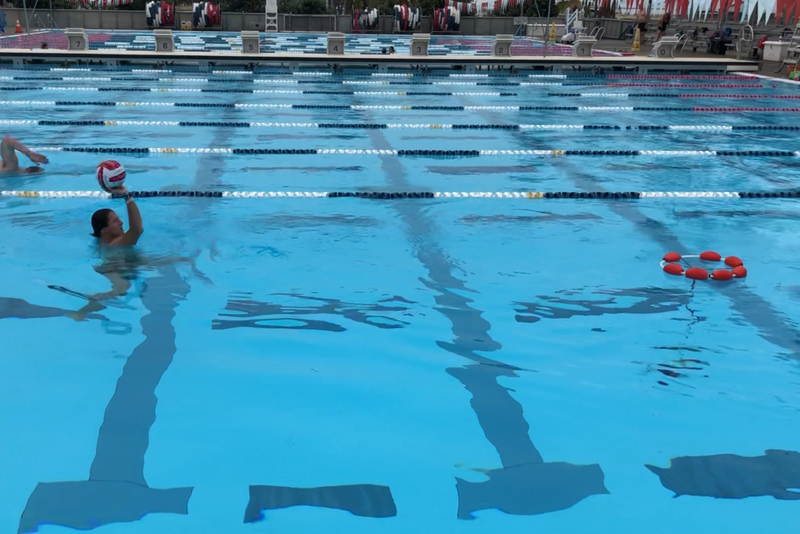 The 6-8 Challenge is a series of 7 water polo specific drills designed to properly teach and improve the most crucial fundamentals of the sport. The Challenge was personally developed by Tony & Maggie and can be used as a personal or collective performance evaluation tool. Shows how fast/quick an athlete is at water polo swimming. Explosiveness over the hips is needed to get open on a counter attack or drive. Tests an athlete’s pure leg strength. Clarifies when a participant doesn’t spread their legs wide enough or when leg strength is low. Demonstrates how high an athlete can jump out of the water. Also gauges leg explosion, strength and the potential to shoot, block or steal the ball in a game situation. Demonstrates an athlete’s ability to move laterally over the hips. Also tests comfort level swimming with the ball. One can be fast in water polo, but the ability to zig zag, stop and go with the ball is more relevant. Shows the speed of an athlete’s shot. An extremely fast shot demonstrates promise if the participant also scores high on other drills. One of the most important drills in the sport. Better players use a minimum number of strokes and mostly utilize their legs. A quick time means either great hands or great body positioning. A slower time means bad positioning, bad hands, or the athlete is young. Indicates goalie’s leg strength and explosiveness. Evaluates over-the-hip lateral movements and quickness / effectiveness of goalie’s movements. Evaluates the goalie’s full range of motion and ability to go laterally both high and low. 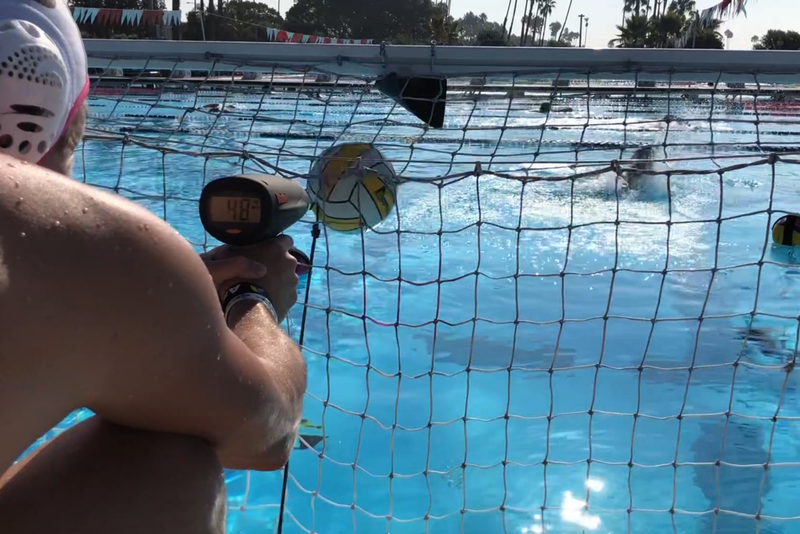 Tests a goalie’s accuracy and range when passing the ball. Interested in running your own 6-8 Challenge? Purchase the 6-8 Challenge Kit.